The mode of admission is based on the JEE (Main)1 and Plus-2 Normalized Score. The seat allotment2 to the B.Tech programmes is based on All India Rank published by CBSE. Admission is based only on All India Rank (AIR). State Rank is not Considered for admission into IIITs. The admission to Foreign Nationals / Persons of Indian Origin (PIOs) / Non-Resident Indians (NRIs) is through Direct Admission of Students Abroad (DASA)3. Admission is based only on All India Ranks (AIR). State Rank is not Considered for admission into IIITs. Ten fresh slots have been allotted by the Ministry of Social Justice and Empowerment for the SC students and Ministry of tribal Affairs for ST students under top class education scholarship schemes. Top Class Education Scholarship is sanctioned to SC/ST students admitted to B.Tech programme whose parental income is less than Rs. 4.5 lakhs p.a. Lodging & boarding charges at the rate of Rs. 2,220 per month per student or the actuals whichever is less. Books and stationery at the rate of Rs. 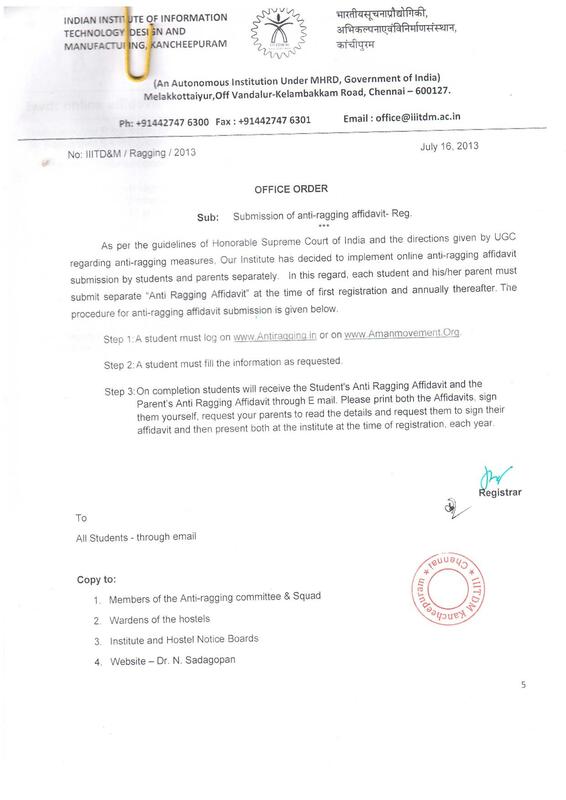 3000 per annum per student or the actuals whichever is less. A latest computer system with all the necessary accessories like UPS, Printer, Multi-media etc. limited to Rs. 45,000 per student for the entire course of study. 1500 scholarships are annually distributed/awarded by National Handicapped Finance and Development Corporation4. Corporation works under the auspices of Ministry of Social Justice and Empowerment.